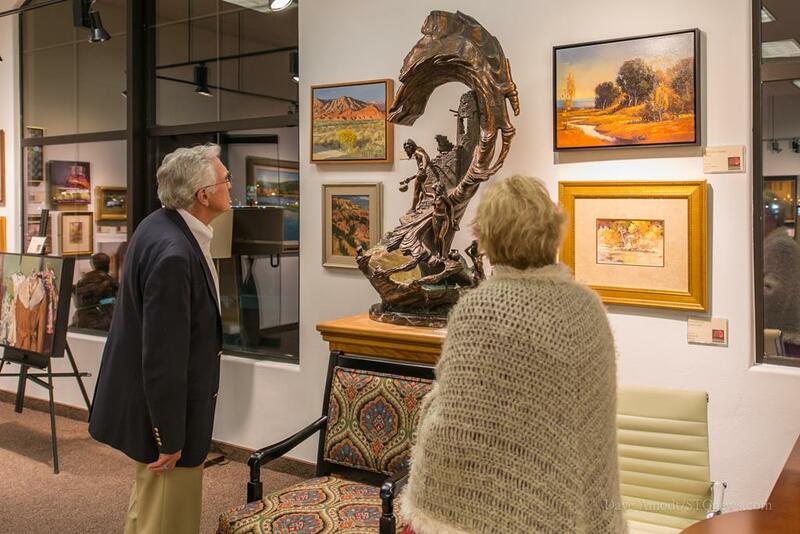 ST. GEORGE – The Fibonacci Gallery and Fine Arts Center in St. George brings a new zeal to artists, musicians and those who enjoy fine works, for the promotion of Southern Utah’s art community. 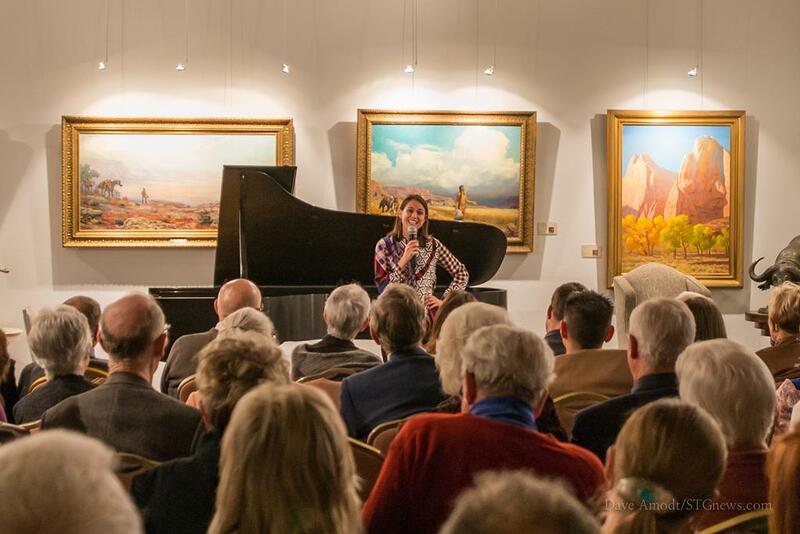 It offers a forum that allows the musical and visual arts to join in creative synergy within an open interior space, enhancing the patron’s enjoyment. 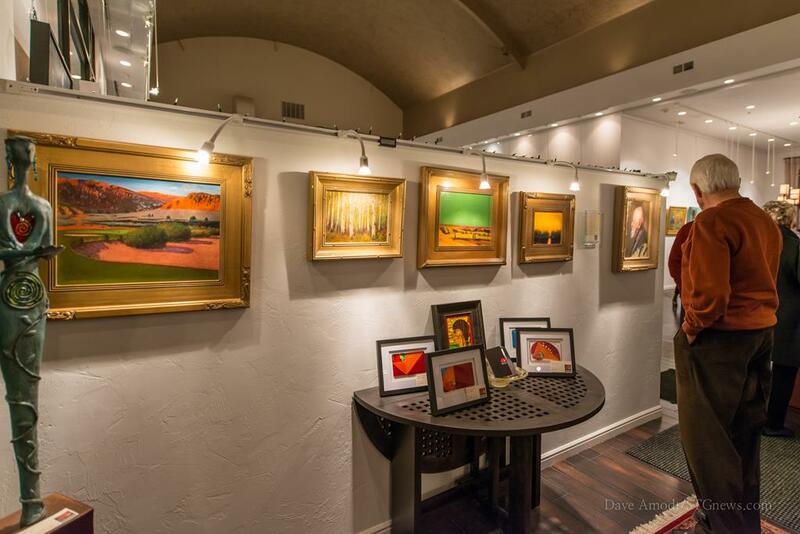 Fibonacci Fine Arts is the brainchild of Dr. Robert Benson. 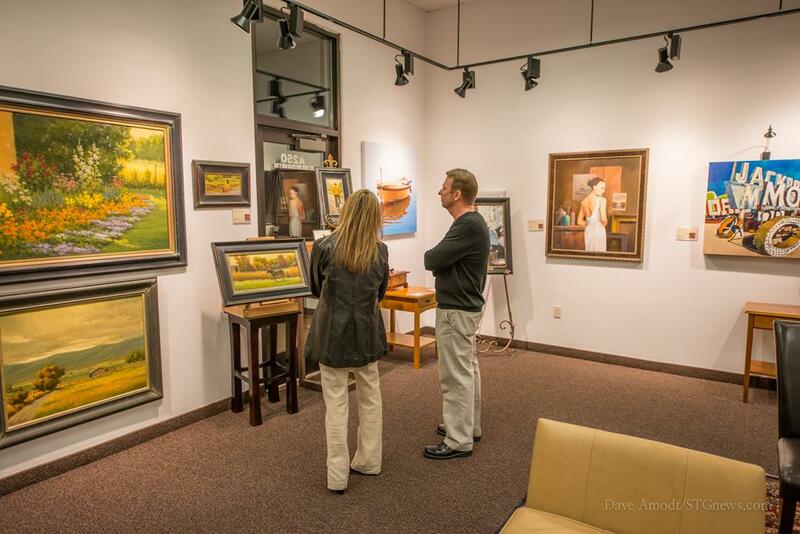 Although his profession is an emergency room physician at Dixie Regional Medical Center, Benson has been involved in the arts his entire life. 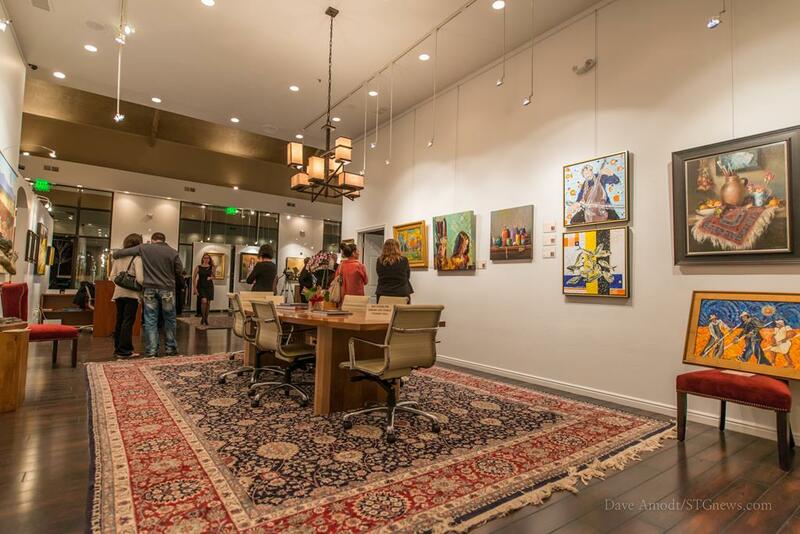 The gallery is his creative dream of providing a venue that combines fine art with music, using interest in one to draw attention to the other. 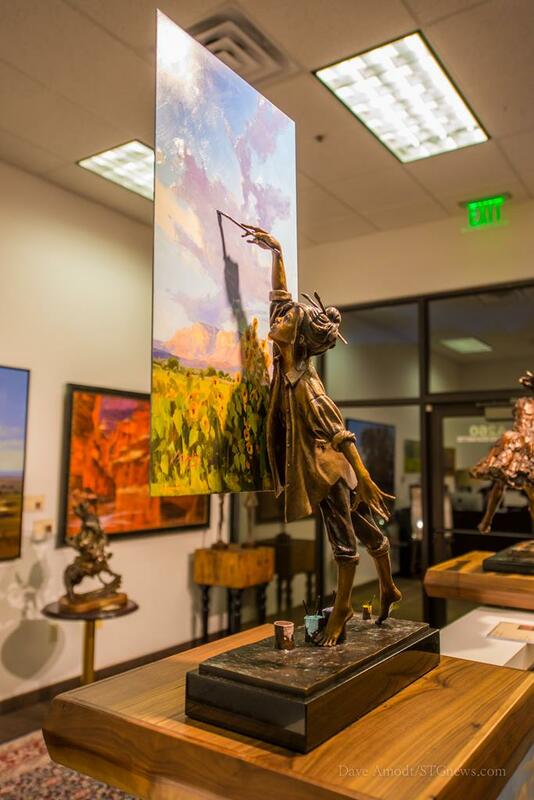 St. George is located on an “art belt” spanning the mountain states of the West. 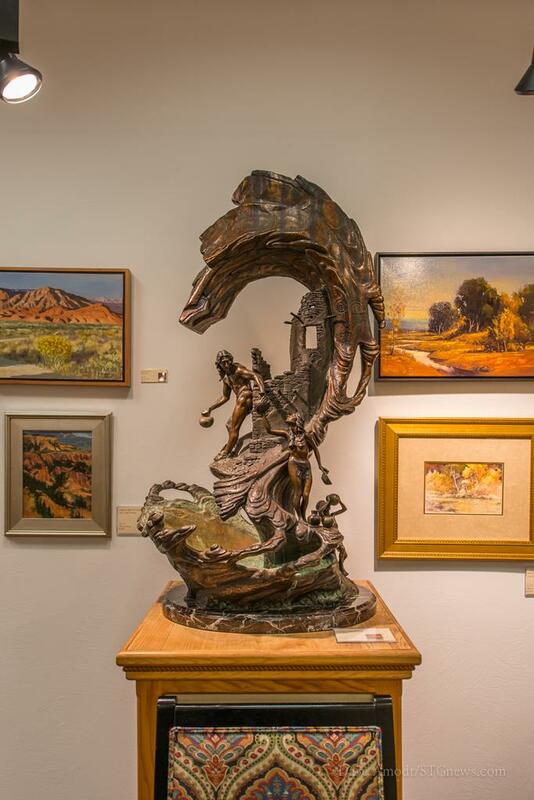 Benson’s goal is to build the area’s reputation as one of many destinations along the belt, like Jackson, Wyo., Sedona, Ariz. and Santa Fe, N.M., known for the quality and diversity of their local art. 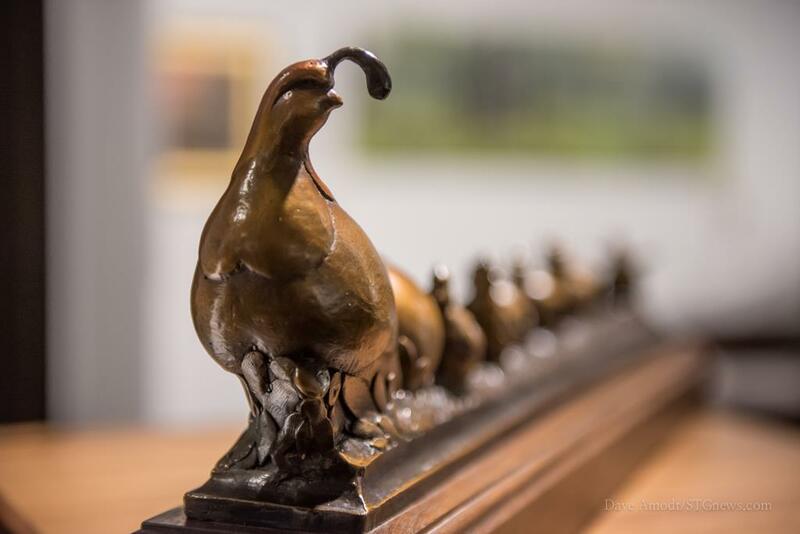 The gallery takes its name from a 13th century Italian mathematician best known for the Fibonacci sequence, a ratio that attempts to describe how objects are aesthetically pleasing to the human mind due to their balance and proportion. Fibonacci’s work is related to the golden spiral of geometry, demonstrated by the abstract seashell image found on the venue’s logo. 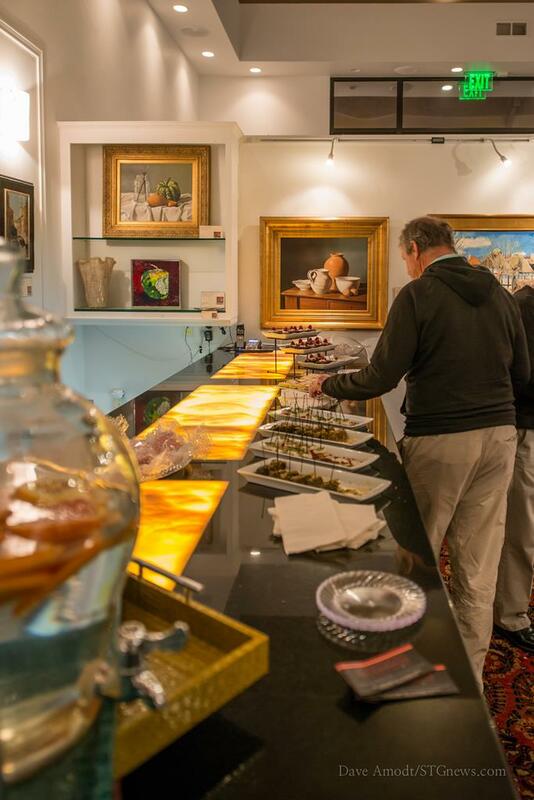 Fibonacci Fine Arts displays artwork in a select few mediums: Oil, watercolor, bronze and fused glass, along with Persian rugs imported by Adib’s Rug Gallery in Salt Lake City. All pieces are for sale. 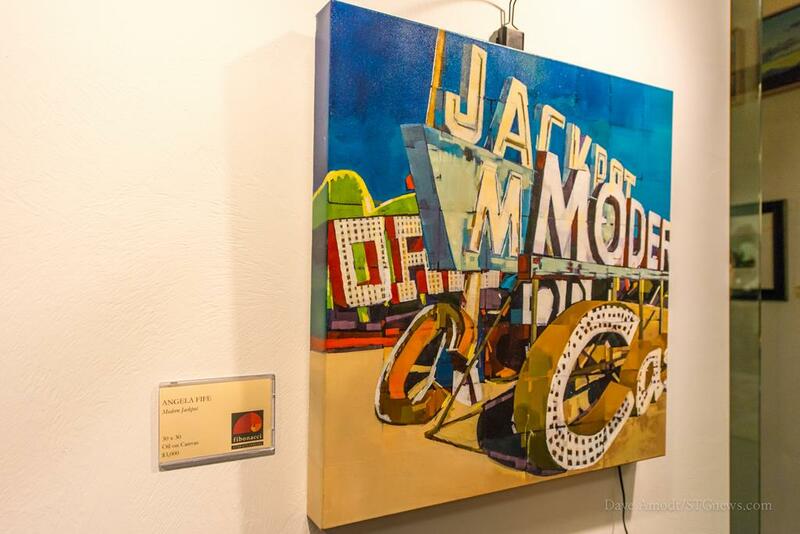 The most expensive is “Voices from the Desert,” created by famed Western painter Bill Hill for the 2002 Winter Olympics and valued at $75,000. 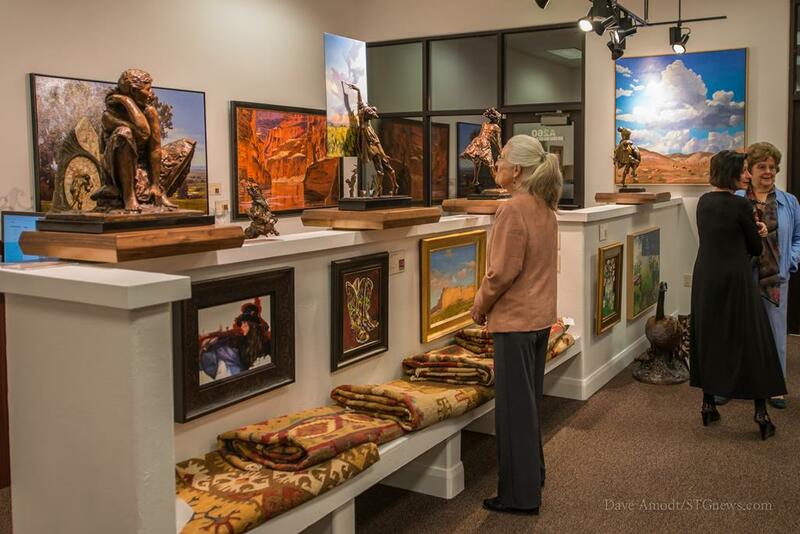 Of the 28 featured artists, about half are based in the St. George area, including Fredrick Stephens, Roland Lee, Cheryl Collins, and Frank Huff, who has a studio within the gallery. Whether they live, work or teach in Utah, all have ties to the state. 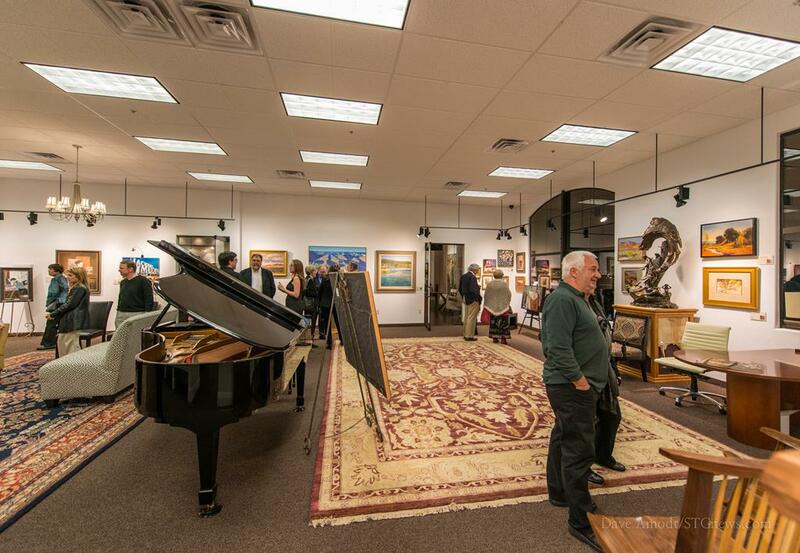 Part of Benson’s vision in creating Fibonacci Fine Arts is to promote local talent as he helps build Southern Utah’s reputation as a destination for the arts. 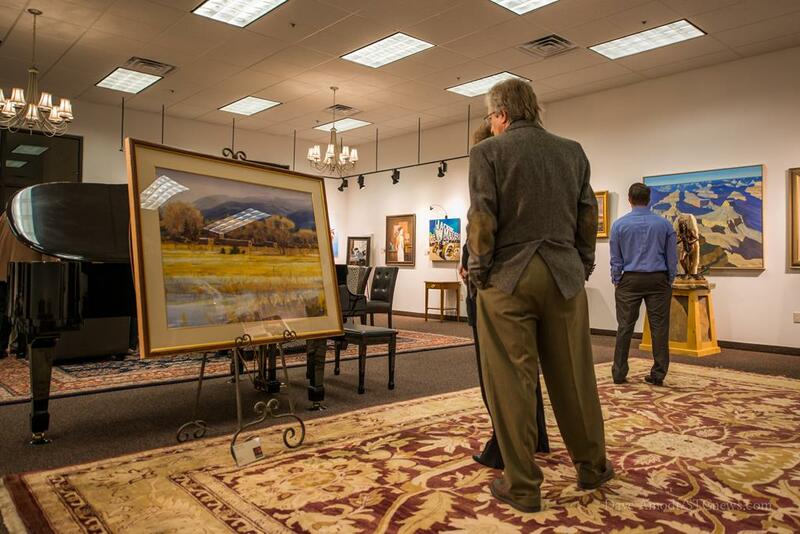 Though most visitors come in just to admire the art – an upscale art gallery can be a low-volume sales business – Fibonacci draws not only serious collectors seeking costly works from artists of Hill’s renown, but patrons more likely to buy pieces from up-and-coming talent like Kaysville native Angela Bentley Fife. 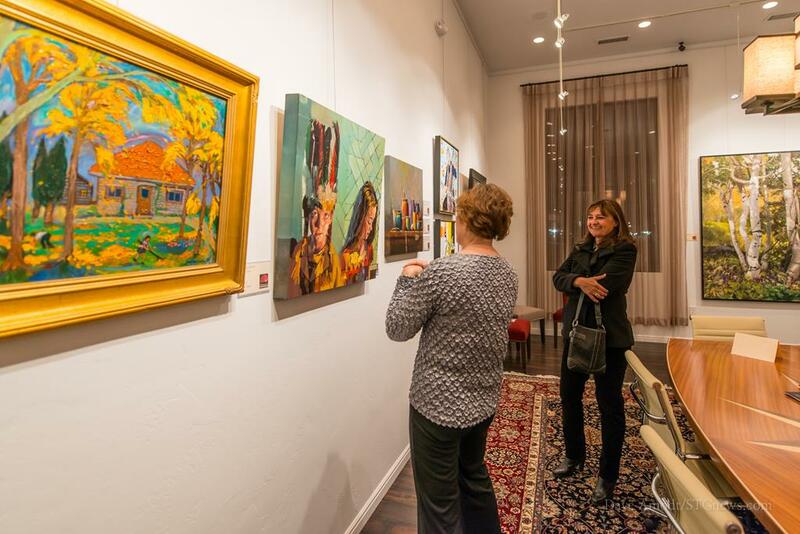 Unlike many galleries, artwork at Fibonacci Fine Arts is displayed in an expansive open viewing area. This design was chosen, Steelman said, to allow visitors to observe the pieces from a different, and hopefully enlightening, perspective. 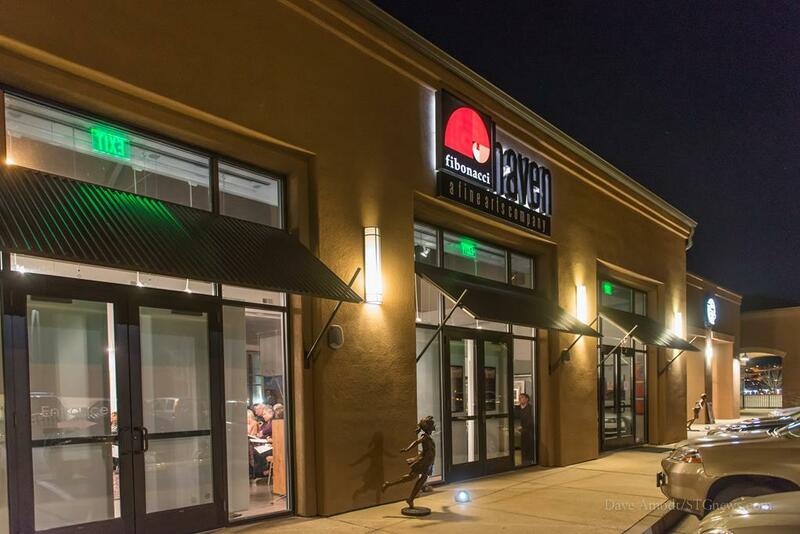 Located at 1495 South Black Ridge Drive in St. George, in the space formerly occupied by the restaurant Haven, the building’s high barrel ceilings create stunning acoustics that Benson likened to a miniature symphony hall. 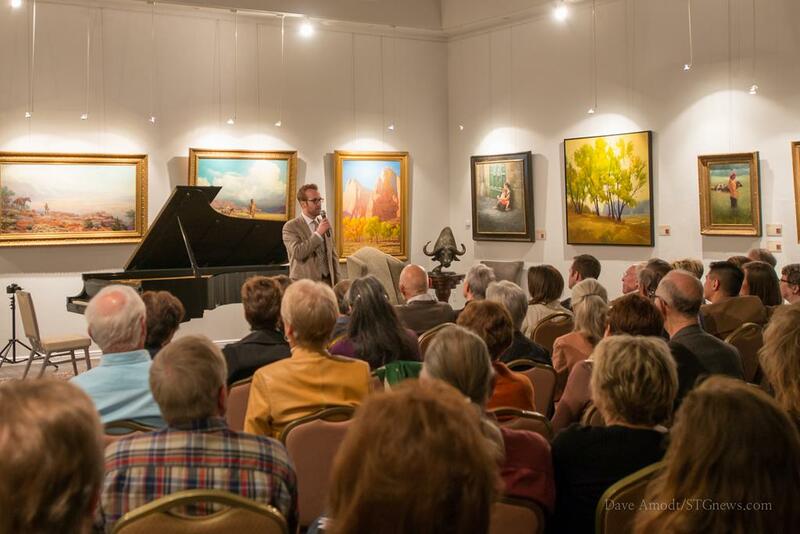 A recent performance of Beethoven works by Ukrainian concert pianist Mykola Suk nearly sold out, filling the gallery with over 105 listeners. Currently, the spring concert series is underway. 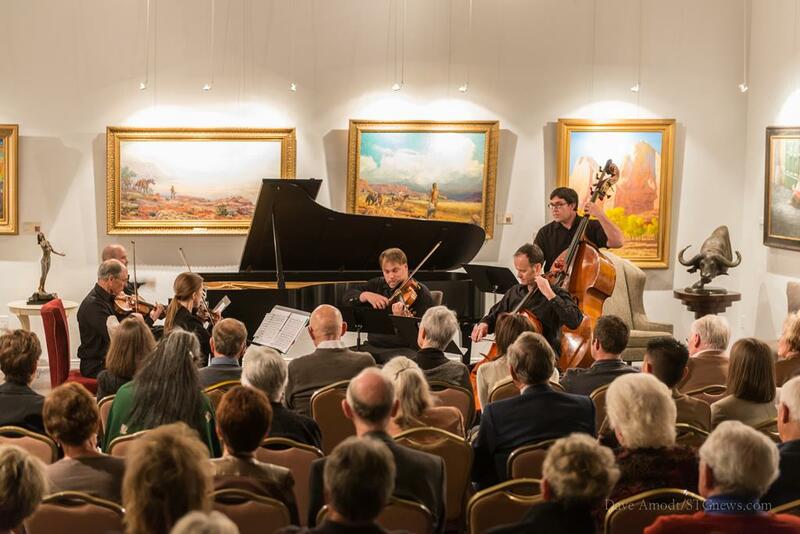 Concert pianist Sandra Rivers, accompanied by string players from the Las Vegas Philharmonic with a special appearance from the Tuacahn High School Orchestra, will perform on March 22, followed by classical guitarist Ricardo Cobo on April 26 and pianist Josh Wright on May 3. 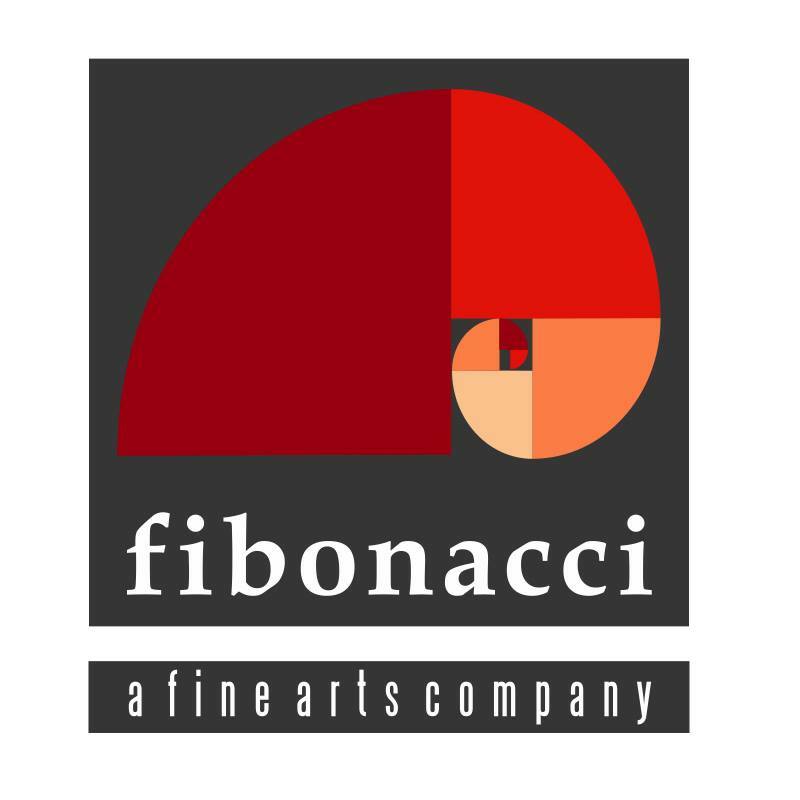 A complete schedule of events is available at fibonaccifinearts.com.